Why does Assad remain in power? The composition of the army and the higher echelons of the regime, built up across sectarian lines since Hafed Al-Assad and his Baathist allies seized power fifty years ago. 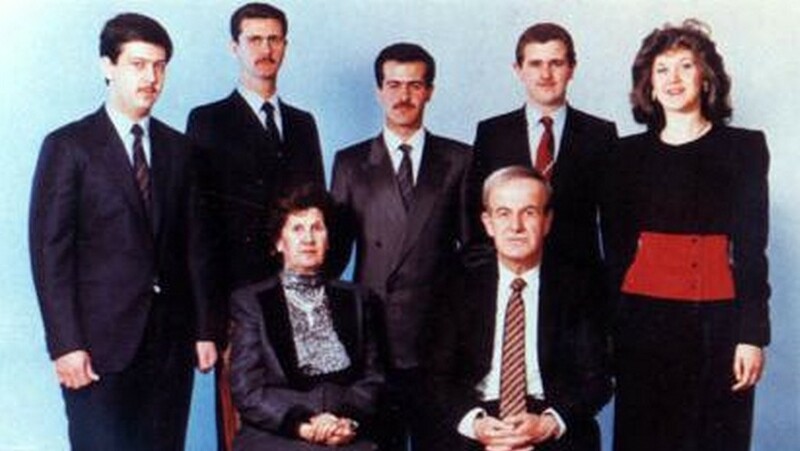 Bashar’s father was even more clever and screwy than his son, as well as perfectly aware of the situation and social architecture of the country he and his progeny were set up to rule for decades. He decided to follow a blueprint previously used by colonialist rulers in both the Middle East and Africa: the “divide and rule” system, which however requires great deals of mercilessness from the bigwig. As I have mentioned many times and all of you already know, Syria is, just like Lebanon and Iraq, an incredibly heterogeneous country, divided into not only different regions, but above all counting with a population composed of people coming from diverse “ethnic origins”. Syria was born with the 1916 Sykes-Picott Agreement between France and the United Kingdom, a text that is being nowadays put into question for the first time by the Syrian conflict itself, as well as by its spill overs. In Syria, France was responsible for encouraging the Allawite minority the Assads belong to serve in the army as a counterweight to the Sunni majority. This, in turn, allowed the Allawites to take power under the secular Baath Party, brought to power by the 1963 coup that ousted a deeply unstable democracy (a democracy a majority of Syrians want back). It is interesting to note that the Allawites did not control the Baath party at first. The secular party was indeed co-founded by a Sunni personality, Salah al-Din al-Bitar In 1966, an Allawite-organized coup was followed by the purge of many Baathist Sunnis, including its founders. The mere fact that the higher ranks in the army are dominated by exclusively Alawite authorities is the reason why the military does not, in general, show any kind of restraint when crunching dissent. It did not back in the 1980s, when the terrible massacre of Hama took place. It is not, barring brave officers who have decided to break ranks, doing it now. Many wonder why the “revolutions” triumphed in Egypt and in Tunisia, but not in Syria and Bahrein. And the answer is hard but simple: these soldiers do not have qualms when killing and launching large scale-attacks on the Syrian populations. They don’t stop at mere repression, like Mubarak and Ben Ali did. They have resorted to war methods, and even to the use of chemical weapons. They are not really assassinating their brethren, but dangerous terrorists/rebel elements who are putting in danger the very existence of the Syrian entity. The same ingredients were those essentially combined after the revolution in Libya, and international intervention was, for many, the main cause why not larger bits of the Libyan population (those rats Gaddafi enjoyed referring them as) were murdered. This sectarian issue is compounded by the fact that Assad has many relatives among the top hierarchy of both the army and the security services, unlike the former Egyptian pharaoh and the likes. Assad’s brother, Maher is the number one in the military, his half-brother Hafez Makhlouf was head of the internal branch at the General Security Directorate, his first cousin Dhu al-Himma Shalish is head of presidential security, and so on and so forth. This clientelist structure enormously hinders the possibility of these individual’s sacrificing the President in order to save the system: he was the one who provided for their well-being, the one they owe everything to. Either they stay with Assad or they fall with him. Not so complicated a choice, if we think about it. Allawite officers exclusively dominate the upper echelons of the Syrian army, but what about the rest of the military? The majority of Syrian soldiers are in fact of Sunni origin. The question spinning in everyone’s minds is: why have not all of them defected, rather than killing their own kin? This has an explanation as well. Rather two. On the one hand we find fear, for the regime keeps the families of many of them as de facto hostages. They are all aware defection would be tantamount to the killing of their entourages. Only those who are lucky and rich enough to guarantee their close relative’s fleeing the country are able to withdraw from the army. On the other hand, and this is something not many medias mention, nearly 60% of the Syrian army remain in their barracks, the regime being conscious of the danger entailed by allowing them to fight on the ground. We also have to take into account the stance of the rest of the minorities that make up the Arab country’s population, which normally view Assad’s regime – despite his repressive nature – as their best guarantee against an eventual tyranny of the Sunni majority, mainly taking Saddam Hussein’s rule as the model that haunts them the most. They also fear a possible rise of the Islamists after the revolution, Islamists that would probably follow the example of the Muslim Brotherhood in Egypt, thus plunging the country into uncertainty and polarization. This has been exacerbated by the increasing presence of extremist elements in the rebel side, mainly jihadists, that do not really augur a promising future for rival sects/beliefs (the on-and-off attacks on Egyptian copts in Egypt stands out as the most probable fate awaiting them, besides fleeing their homeland). Assad’s regime draws – although to a lesser extent by the day – a non negligible amount of support from the Christian minority (approximately 10 percent of the country’s population), as well as from the Druze community that represents around 3 percent of the population (I found a great article on it here). The Kurdish minority, on the other hand, has also taken up arms with the long-term aim of laying the foundations of an autonomous region in the northeastern part of the country. They are thus not fighting against the Syrian army, but rather fighting against those rebels who want to re-seize control in the area. Many analysts also have cited crony businessmen and a wealthy middle-class, mainly made up by centuries-old families of merchants in Damascus, having benefited in the past from economic liberalization, as vital allies of the Assad regime. These were the only who were actually making money and thriving during the last years, and civil war of an Islamist rule would have meant change of the status quo, thus casting doubts upon their situation and privileges. Maybe that was true, up to a certain extent, in the outset of the uprising, but I personally find it hard to believe that all of these people are able to nowadays act blindly towards such violations of human rights. It is highly likely these Syrians are also being currently held hostage by the Syrian regime, unable to leave the country out of fear for the future of their closest circle. The same happens with a sizeable bureaucracy , dominated for decades by an hegemonic party with considerable patronage capacities. Last but not least, Assad still feels strong, accompanied and even legitimate enough because of external support provided by two sets of actors: the Shiite axis, namely Iran, Hezbollah and Iraq’s Maliki, on one hand, and Russia (and China, although a shift of the stance of the former would probably mean a more moderate stance of the Empire of the Centre), on the other. Some notes on the so-called "Turkish Spring"